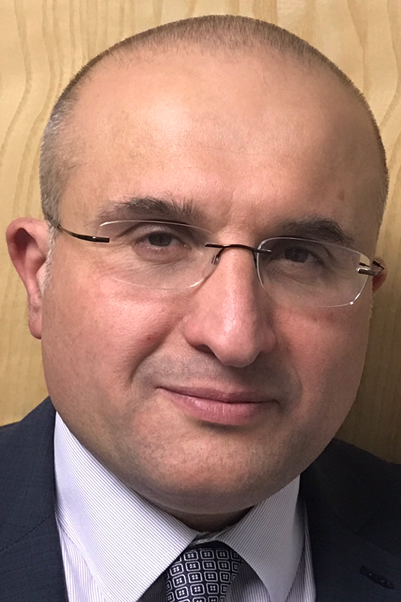 Mr. Azar Khunda is a Consultant Obstetrician and Gynaecologist and subspecialist Urogynaecologyst at Guys and St Thomas NHS Trust since August 2014. Azar has a strong clinical background and training in Urogynaecology. He obtained his CCT (certificate of completion of training) in Obstetrics and Gynaecology in April 2010 and subsequently completed the requirement for the subspecialty training programme in Urogynaecology at the University College London Hospital. During his training, he developed extensive experience of advanced laparoscopic surgery and its application in Urogyanecology. Azar was successful in obtaining a locum consultant Urogynaecologist post at St Georges in January 2013. During this post, he has successfully and safely introduced laparoscopic Urogynaecology at St George's. This enables him to offer uterus preserving surgery for pelvic organ prolapse. Mr Khunda’s fellowship in Australia in 2011 with Professor Hans Peter Dietz has complemented his general training in Urogyanecology and introduced him to the application of imaging in Urogyanecology. He has acquired the experience to perform 3/4D ultrasound for the pelvic floor. Furthermore, he has completed a research project, which was published at the American journal for Obstetrics and Gynaecology. Another area that Mr Khunda has an extensive experience and passion is the management of childbirth injuries including prevention and management of childbirth injury, urinary Incontinence, Perineal pain and wound healing complications and sexual difficulties. At 132 Harley Street, Mr. Khunda offers outpatient consultations for general gynaecological conditions and in particular Urogynaecology which includes prolapse, Overactive Bladder, recurrent UTI’s and voiding dysfunction. The contents on this site is for information only, and is not meant to substitute the advice of your own physician or other medical professional.